Is there a better alternative to Missing Sync for Android? Is Missing Sync for Android really the best app in Personal Info Managers category? 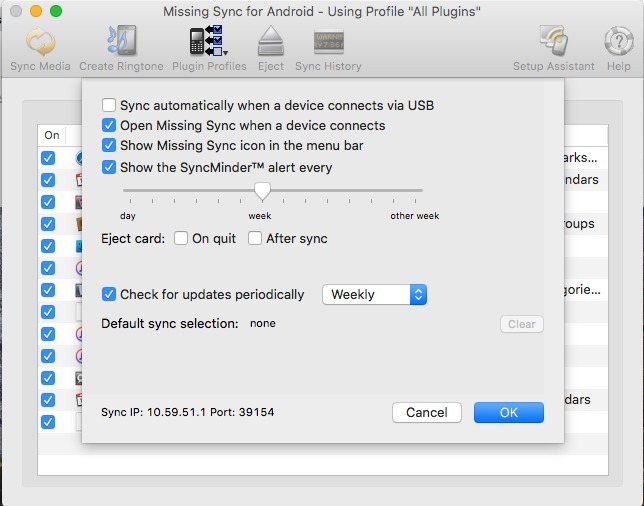 Will Missing Sync for Android work good on macOS 10.13.4? 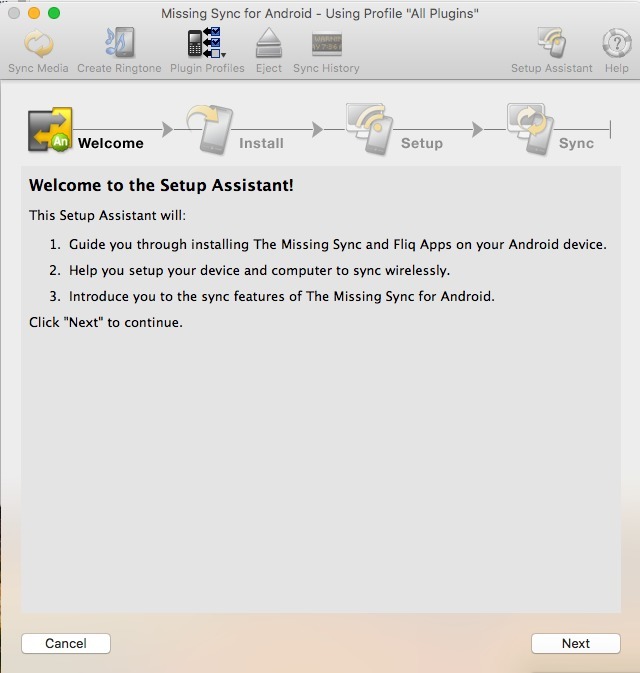 The Missing Sync for Android allows you to link your Mac to your Android phone - HTC Hero, Motorola Droid, Google Nexus One and many others. The Missing Sync for Android is the best all-in-one sync solution that helps you get the most from the features of your phone. Keep contacts in sync wirelessly via Wi-Fi or Bluetooth. Transfer music, ringtones, photos, files, and videos fast with a USB cable. 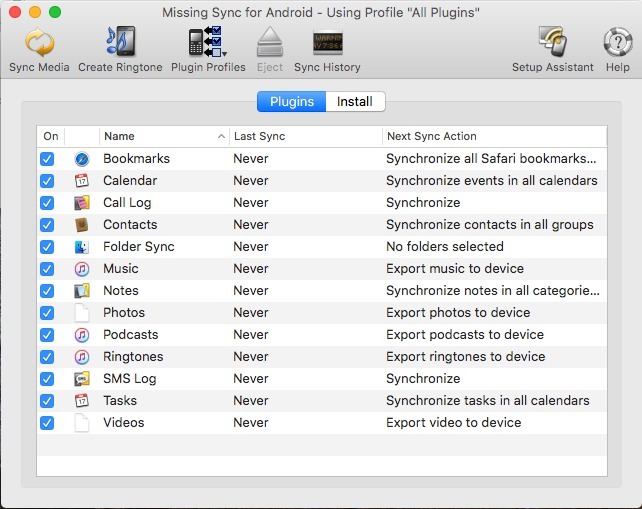 The Missing Sync will make it easy to use your information and media files on an Android phone - and take them wherever you go. Keep contacts in sync between Address Book or Entourage on your Mac and your Android phone. Save pictures you take with the camera on your phone to your computer, or to and from iPhoto. The Missing Sync converts and transfers digital video and movies for optimum viewing on your phone. For school. For work. PDF, Word, Excel and PowerPoint documents. Sync them all, then view them on your phone. 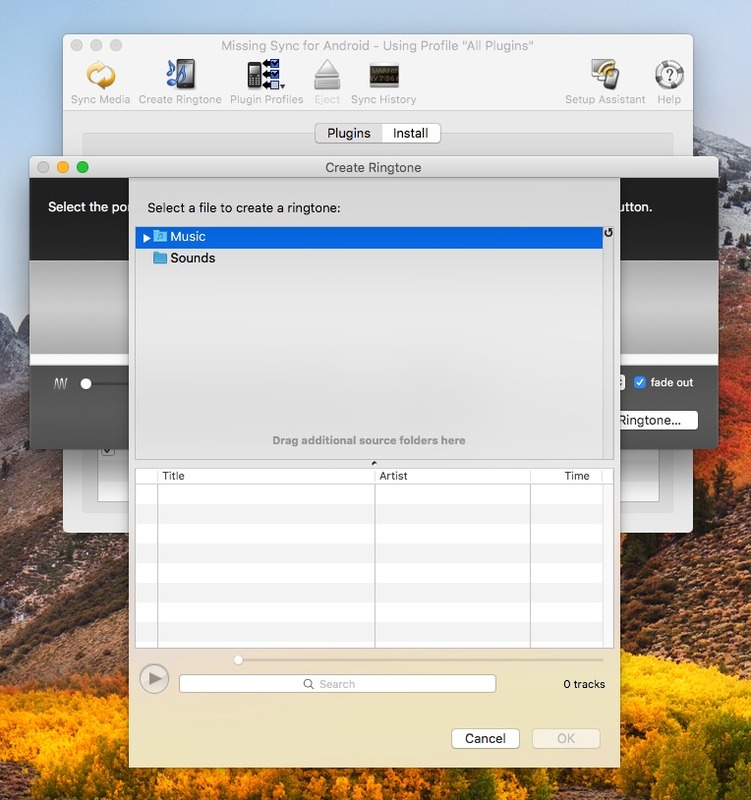 Create ringtones from your favorite songs using the built-in editor. * Or, use included ringtones to customize your Android phone.